Ludlow Castle, the finest of medieval ruined castles, set in glorious Shropshire countryside, at the heart of this superb, bustling black & white market town. Walk through the Castle grounds and see the ancient houses of kings, queens, princes, judges and the nobility - a glimpse into the lifestyle of medieval society. Admission: £4.50 per person. Babies free. Opening Times: Wednesday and Thursday: call for availability. Friday: 10am to 7pm Saturday: 10am to 6pm Sunday: 10am to 6pm. During School Holidays they are open all week Monday to Sunday, 10am to 6pm. Telford Snowboard and Ski Centre is located adjacent to Madeley Court Sports Centre, on the outskirts of Madeley. It is the ideal facility from which to learn to ski or improve your techniques before your winter holiday. The Sun Valley Canoeing company has been running since 1988 and specialises in Canadian-style canoe trips.On every trip there is a guide, who will supply you with the buoyancy aids, give you tuition before you set off, and accompany you down the river if required! Choose from a short break or longer holiday ... you can start any day you like. The price of your holiday Includes: all accommodation, brilliant routes, luggage transported, quality bikes & equipment and our award winning service. Welcome to the wonderful county of Shropshire. If you need child friendly ideas where to take the kids, kids days out, or fun things to do with the kids in Shropshire then we can help. We have family pubs with kids play areas, soft play areas, indoor play areas, outdoor play areas, playgrounds, aquariums, castles, stately homes, children's clubs such as Scouts, Cubs, Beavers, Brownies, Guides, youth clubs, activity centres, Air, Sea, Army Cadets, and all in Shropshire. We list children's entertainers in Shropshire if you are planning a birthday, cinema, theatre, petting zoo, animal farms, children's farms, leisure hire, museum and art gallery, nature areas such as parks, and countryside walks and beaches. We have kids activities related to outdoor pursuits and sports such as swimming, ice skating, ten pin bowling and football centres. We list theme parks and Adventure Parks in Shropshire. If you are looking for zoos with more exotic animals then we have them. Don't forget to look at the nearby counties of Cheshire, Wrexham, Powys, Herefordshire, Worcestershire, West Midlands, Staffordshire to see what they can offer you. We have days out with the kids in Shropshire in and near :- Ackleton, Acton Round, Albrighton, Bridgnorth, Dawley, Hadley, Lilleshall, Madeley, Newport, Oakengates, Oswestry, Shrewsbury, Stirchley, Telford, Wellington. 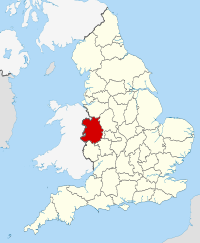 Shropshire is a county in the West Midlands of England. It borders Wales to the west. Shropshire is one of England's most rural and sparsely populated counties. The population of the non-metropolitan/shire county of Shropshire is 289,100 - making it the least populated two-tier governed area in the United Kingdom. With the recent Local Government White Paper's support for new unitary authorities, Shropshire County Council is proposing the abolition of Shropshire's district councils, becoming a unitary authority. The borough of Telford and Wrekin, included in Shropshire for ceremonial and geographical purposes, has been a unitary authority since 1998.